The Inventory Cash Release® Process (ICR®), is a structured step-by-step inventory optimization technique that guides users through the application of different inventory reduction methods to match the method with the characteristics of specific inventory items. The process encourages your team to look at inventory optimization from different angles rather than jumping to the first solution that springs to mind. This radically improves the chances of coming up with viable and lasting solutions. The inventory follows the 80:20 rule. This means that 20% (or less) of the inventory items account for 80% of the inventory value and that major reductions in working capital can be achieved by reviewing a small percentage of the items in stock, saving a lot of time, energy, and money. Software solutions can waste 80% or more of your efforts by focusing on the entire inventory rather than the items that have the greatest impact on your overall inventory value. 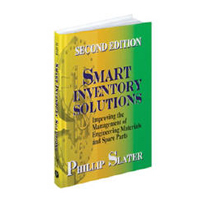 Inventory optimization is multi-factorial – meaning that to achieve true optimization you need to consider a range of factors not just a single criterion such as historic usage or recency of use. The ICR® Process involves consideration of up to 7 issues that determine your inventory levels and financial investment (hence, the 7 Actions for Inventory Reduction). 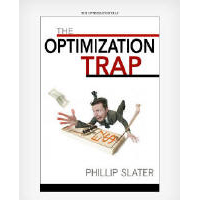 Predefining your optimization criterion limits your opportunities. 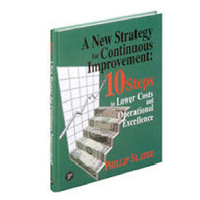 Typically inventory reduction or optimization processes involve determining a predefined attribute or condition to review and then applying that condition to all inventory items (for example max-min calculations or slow moving reviews). The Inventory Cash Release® Process turns that approach on its head by matching the required action with the attributes of specific inventory items, not the other way around. 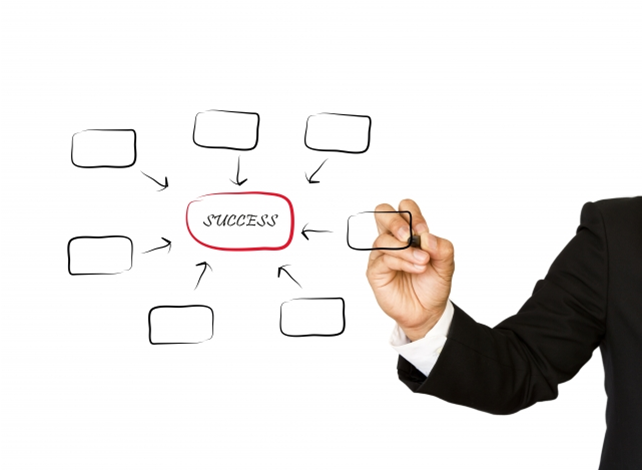 Lasting results come from developing the skill base and decision making of your team. The ugly truth is that most inventory problems result from human actions and decisions, not computer or software glitches. The application of the ICR® Process has two effects: first, it engages the team in the solution so that they gain ownership of the outcomes; and second, it builds the team’s skills and knowledge in this area so that they can continue addressing inventory issues on an ongoing basis. The Inventory Cash Release® Process is a step-by-step approach that acts as a decision making filter. 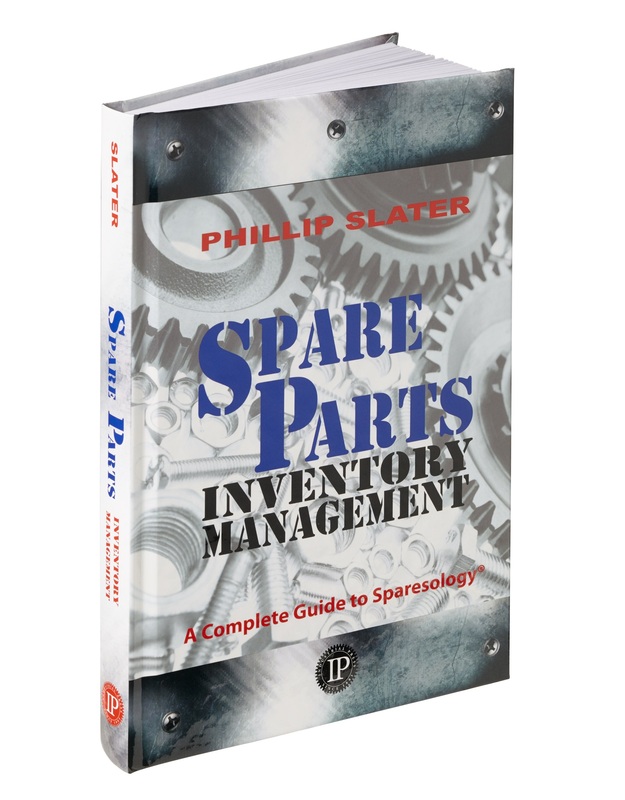 The approach starts with a large number of inventory items, it then filters the number of items to consider for review and then further refines the required decision making through the application of one or more of the 7 Actions for Inventory Reduction. 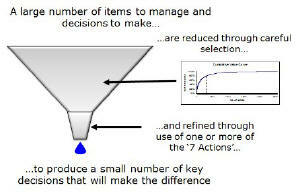 This process produces a smaller number of focused decisions that will make a real difference to your inventory holdings. The figure above shows this schematically. That’s the rationale behind the framework.